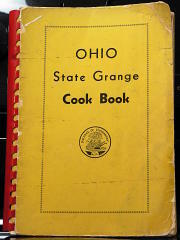 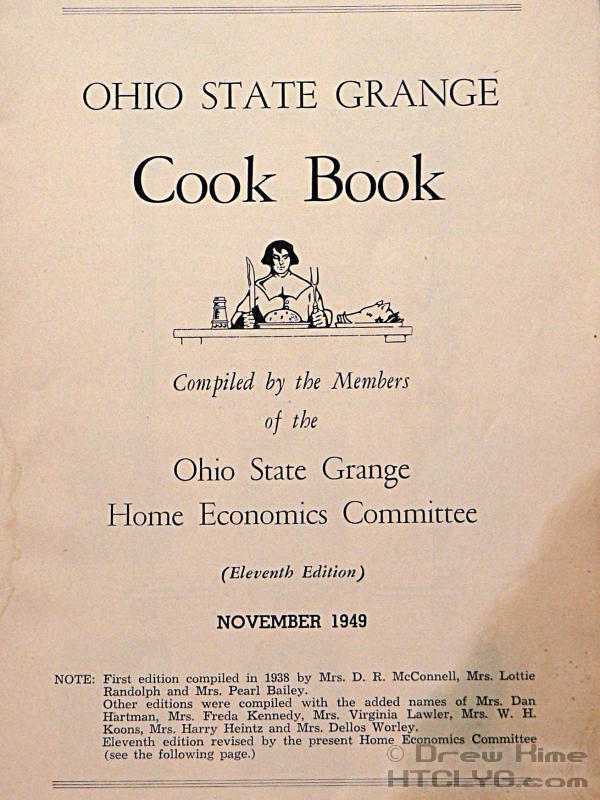 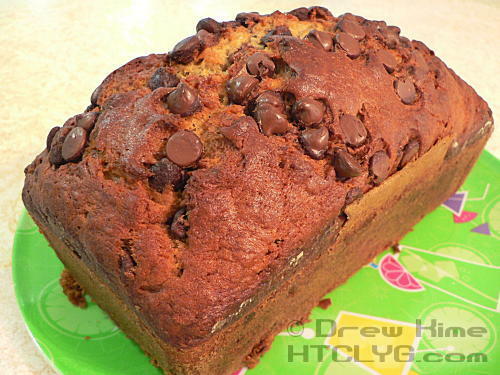 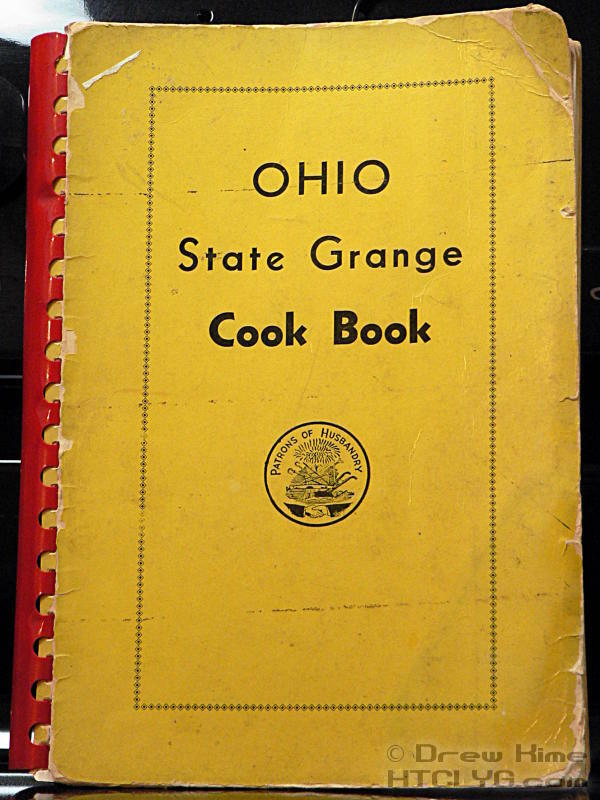 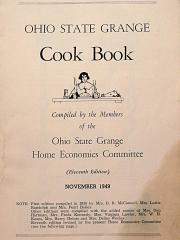 This banana bread recipe is another one from the 1949 Ohio State Grange Cook Book. Like the others we’ve tried, this is much less sweet than other recipes I’ve tried, and I like it that way. 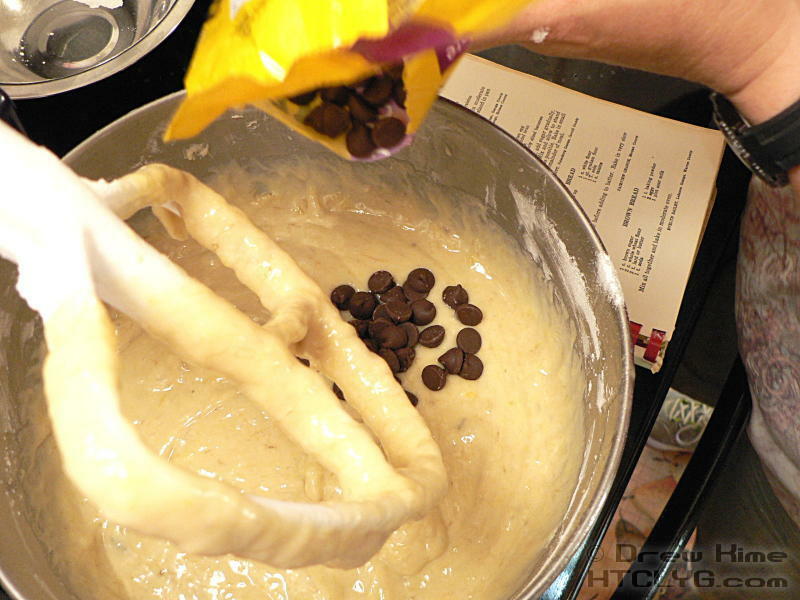 You can add chocolate chips (like we did) or frosting and it won’t become overly sweet. 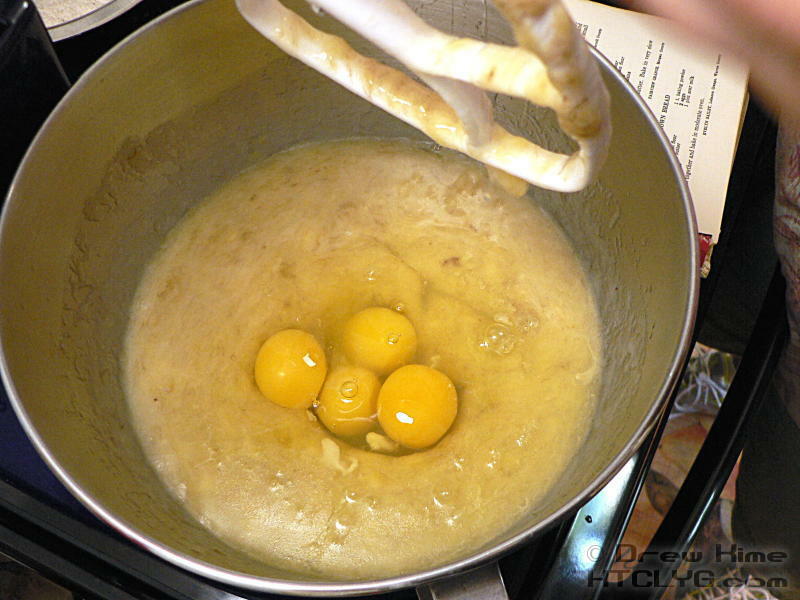 NOTE: These photos show a double recipe. 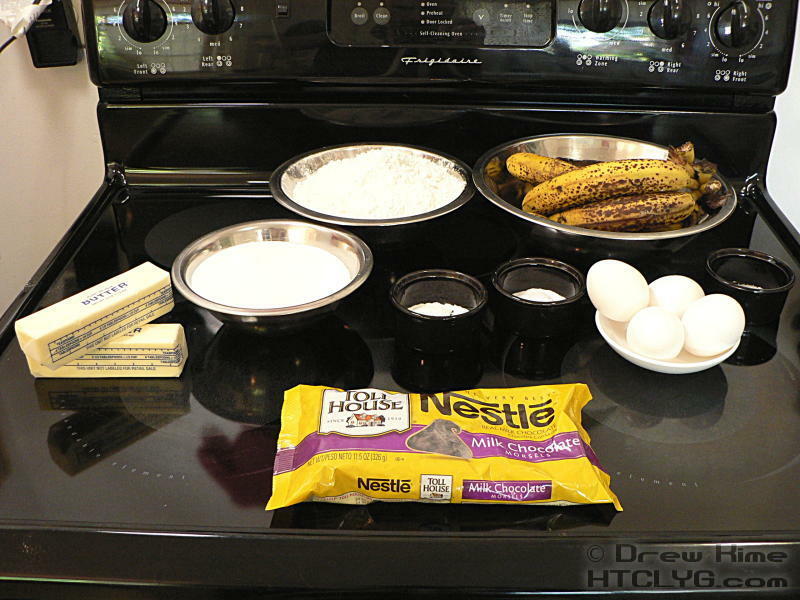 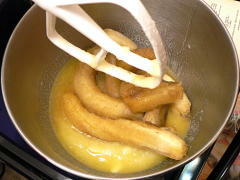 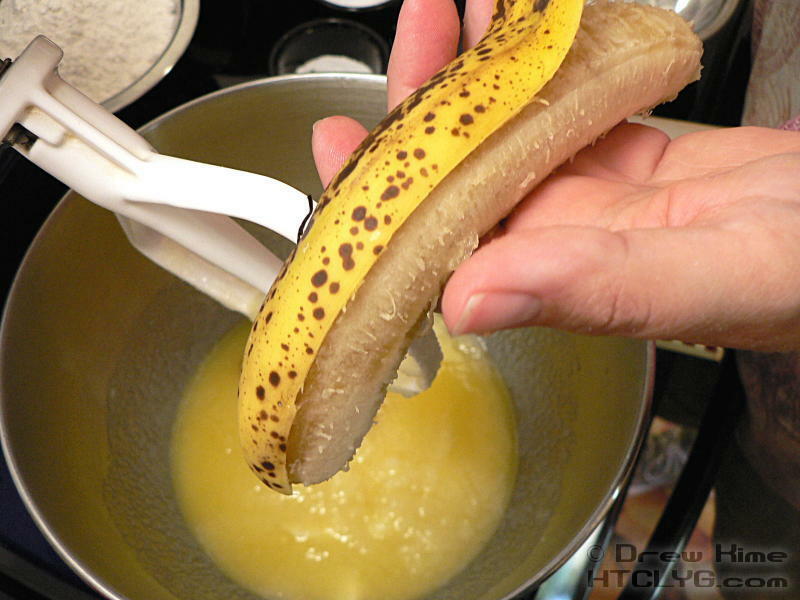 Add the vanilla and bananas and mix. 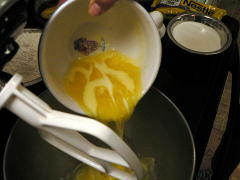 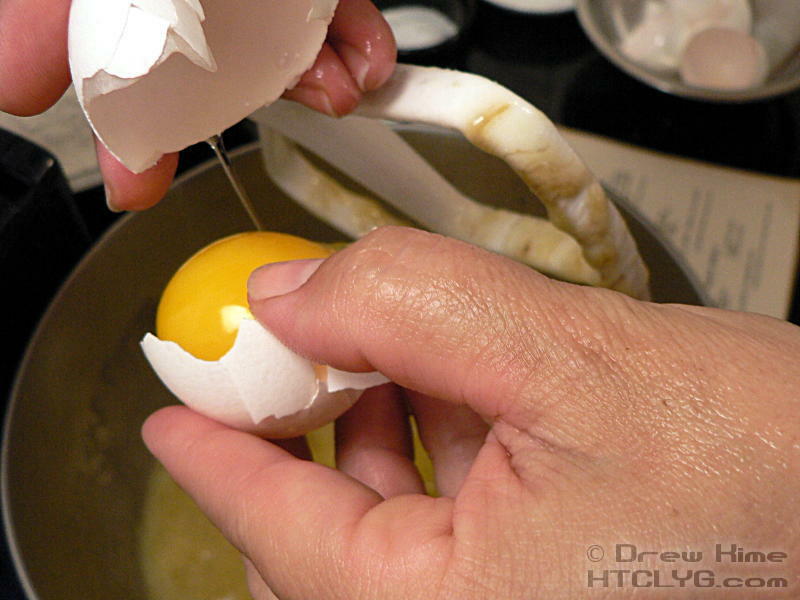 Add the eggs, salt, baking soda, baking powder, and a third of the flour. 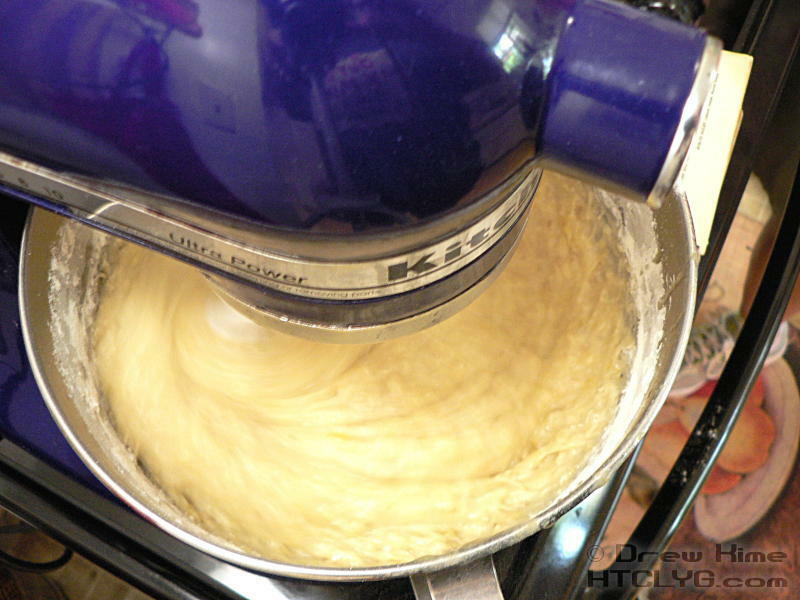 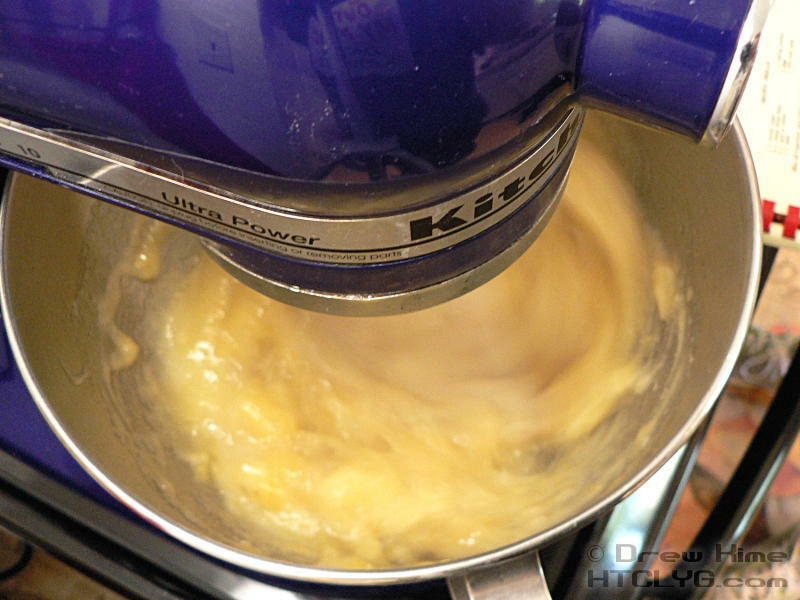 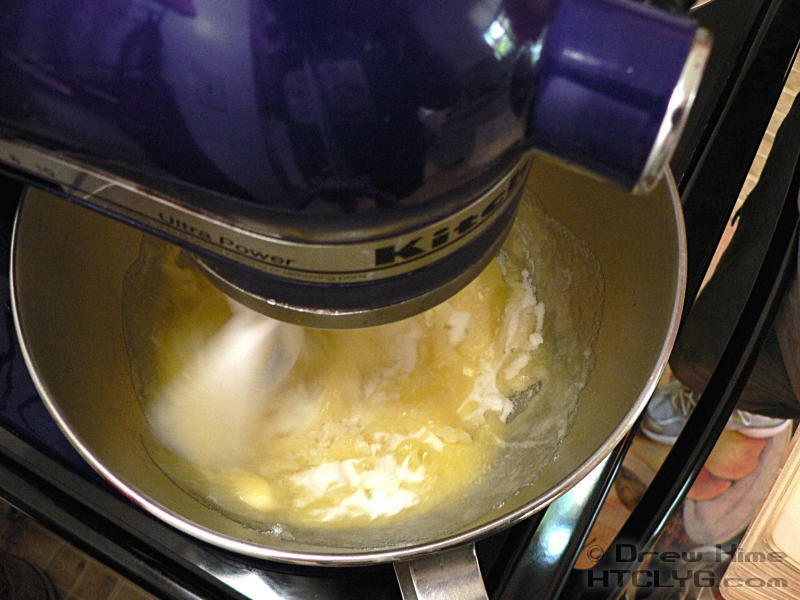 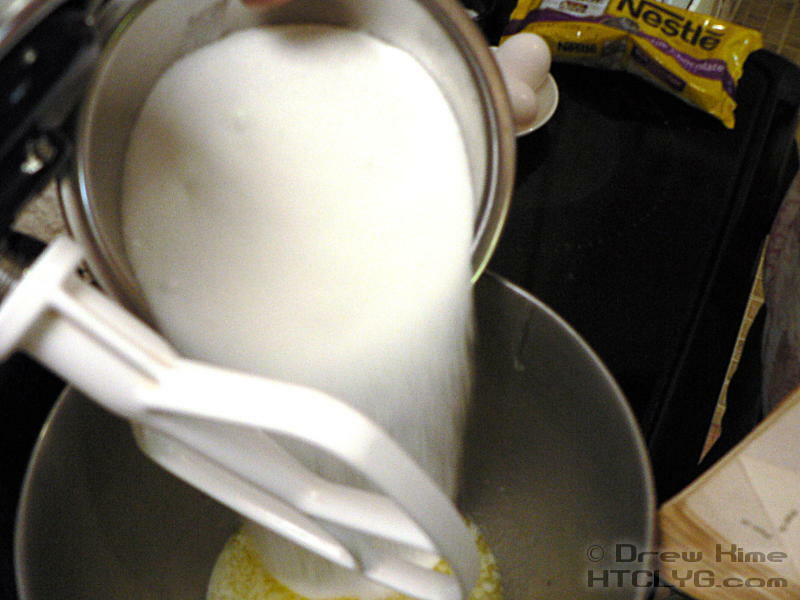 Mix on low speed — unless you like flinging flour all over the counter. 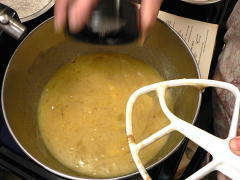 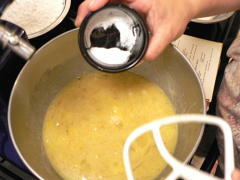 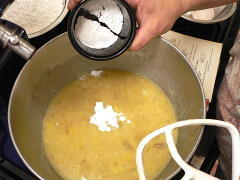 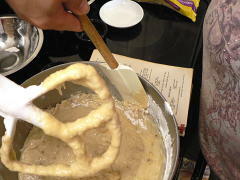 Add the rest of the flour in two more batches, scraping down the sides in between each addition. If you’re including chocolate chips, add two-thirds of them and mix briefly. 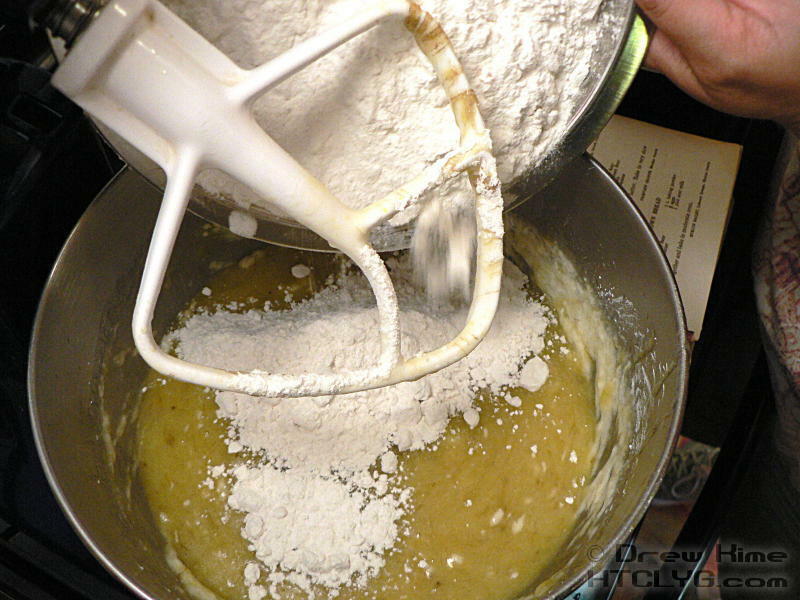 Flour a pan — or if you’re doing a double recipe like we did, two pans. 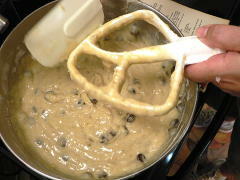 Pour the batter into the pan and top with the remaining chocolate chips. 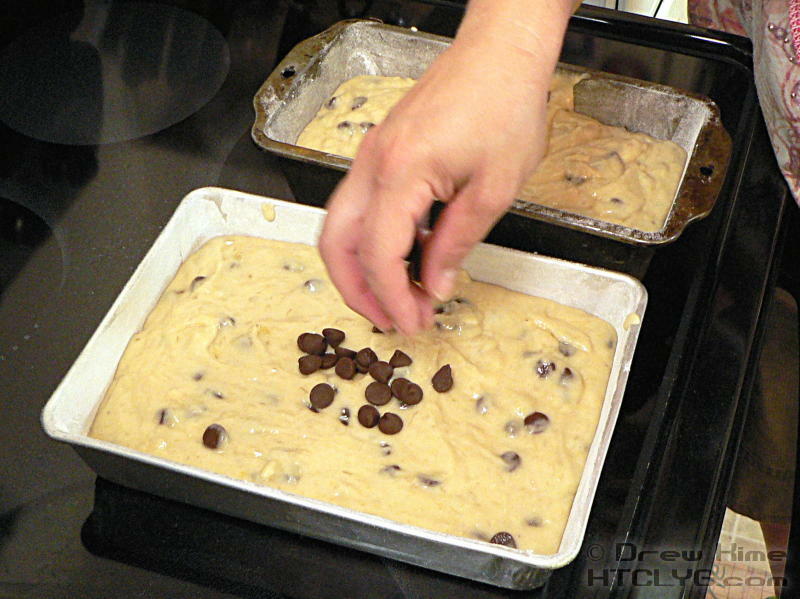 Bake at 350° for 45 minutes, let stand in the pan for a few minutes, then remove to a wire rack to cool. 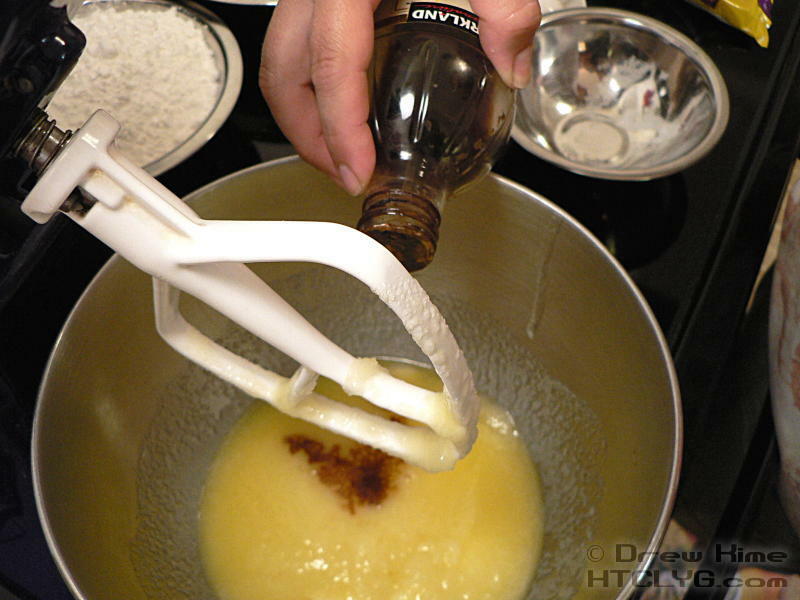 Mix all ingredients together and pour into a greased and floured loaf pan. 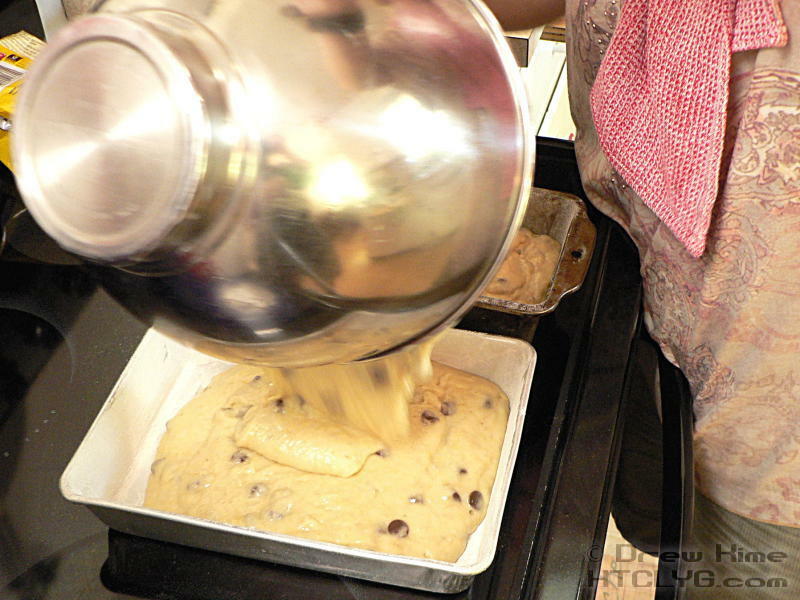 Bake at 350° for 45 minutes, let stand in the pan for a few minutes, then remove to a wire rack to cool.